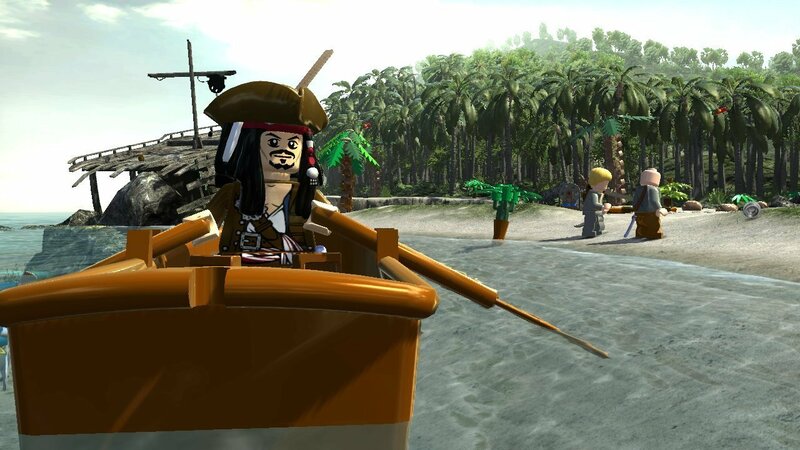 Coinciding with Pirates of the Caribbean: On Stranger Tides hitting both UK and US Box Office, Disney Interactive Studios have turned to the masterful talent of Cheshire-based studio Traveller’s Tales in faithfully parodying the film and the previous three instalments through the best way they know how – LEGO. Each of the four films – ‘The Curse of the Black Pearl,’ ‘Dead Man’s Chest’, ‘At World’s End’ and ‘On Stranger Tides’ – divides itself into five levels, each depicting the most iconic and significant moments from the franchise. Ship-to-ship battles, the Water Wheel duel and even Captain Jack’s wacky stint in Davy Jones’ Locker all make appearances. Lengthy cutscenes serve to connect the dots, with Traveller’s Tales parodied humour ever present throughout – the drunken swagger of the infamous Captain Jack never failing to raise a smile! Although, I would recommend that those still yet to see the fourth film do so before venturing through its story levels, more so that you can have a better understanding of the plot as well as not to ruin the film experience. Making use of individual skills granted by differing characters once again plays a central role during gameplay, with those wielding swords able to activate levers, those armed with projectiles able to activate distant targets and those with hammers able to forge and repair machinery. Animals also make an appearance, with Dogs – satisfied by being handed a bone – aiding the player in crawling through small openings to then dig for and return items necessary for progression. Unfortunately, repetition soon enters the fray, with the more spectacular levels finding themselves sandwiched around those that rely too heavily on a similar objective structure. For the instances where you find yourself marvelling at having to face the monstrous LEGO form of the Kraken, facing off against Davy Jones atop the highest mast of the Flying Dutchman, or swashbuckling your way through the streets of you’ll soon encounter more lacklustre moments in when you are posed with gathering crew members by satisfying their needs through numerous fetch quests. 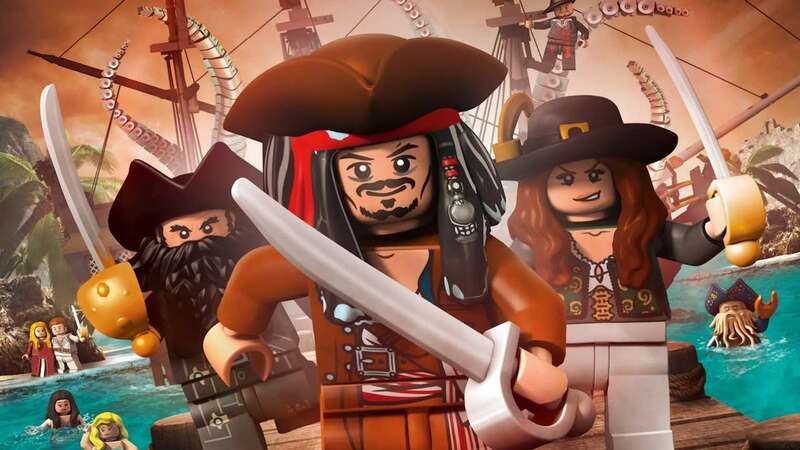 Collectables will be familiar to those that have previous experience with the amassing of LEGO Studs within levels leading to being able to attain True Pirate status, alongside hidden Ship Bottles (Mini-Kits essentially) and Hidden Treasure. The latter of which is a new twist to the series, where the player, at specific points during levels, must utilise Jack’s Compass to follow a highlighted footpath at the end of which they’ll locate a piece of treasure. Nevertheless collecting each in their entirety rewards you with Gold Bricks that further allow you to explore areas of the hub world. Red Hats, a variant appearance on the usual Red Bricks, are also now scattered around the hub for you to find rather than within levels, the discovery of which once again provides recognisable ‘Extras’ such as Score Multipliers, Fast Dig etc. Beyond completion of the Story Mode, which will take an average of around 8-10 hours, you’ll find the usual replayability on offer in returning to each level with a full set of characters as you continue to hunt out every collectable on offer. Such hunting is an aspect long enjoyed by fans of the LEGO series, and you’ll enjoy the further opportunity to do so here which will more than double your play time. For the choice of a control scheme, the only option available to you is the standard Wii Remote and Nunchuk combo, yet this ultimately provides an optimum level of comfort to the player. On the Wii Remote, A is used to Jump and B for combat, with the Nunchuk using C to switch between characters and Z for interactions such as levers or building with LEGO bricks. Whilst both 1 and 2 on the Wii Remote may also be used to switch between available characters, Traveller’s Tales have finally incorporated a Character Wheel for speedier changes – accessed by holding the C button down briefly. Its inclusion is a time saver, and hopefully, one that will now remain with the LEGO franchise. 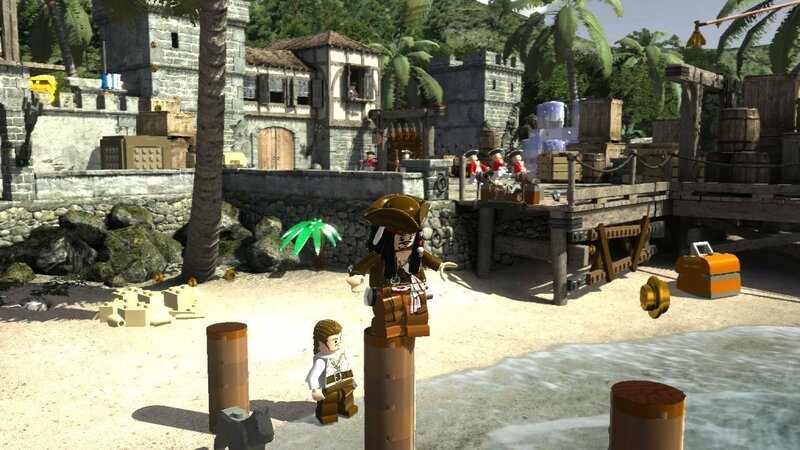 As a whole, LEGO Pirates of the Caribbean: The Video Game provides one of the most entertaining entries within Traveller’s Tales popular series that, whilst largely enjoyable, remains to be only held back by not continuing to expand beyond that seen before it. 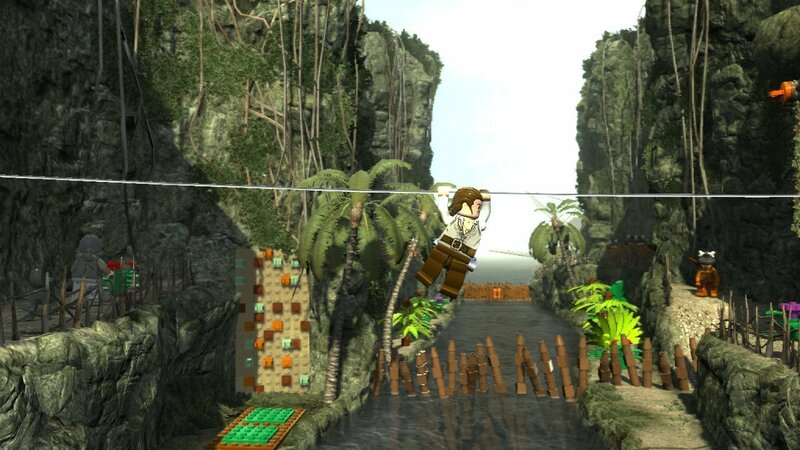 Despite treading familiar water, this swashbuckling adventure is one that fans certainly won’t want to miss but LEGO veterans should just be prepared for more of the same – albeit it with a slightly ‘Piratey’ twist.